I've had emails and questions on surface grinder conversions, where to get parts and if I had any pics of ones I've converted so I took some pictures of this last conversion I built. Sorry some of the pics are blurry but you can get the idea. On my conversions I use a double idler set up that tracks very solid. 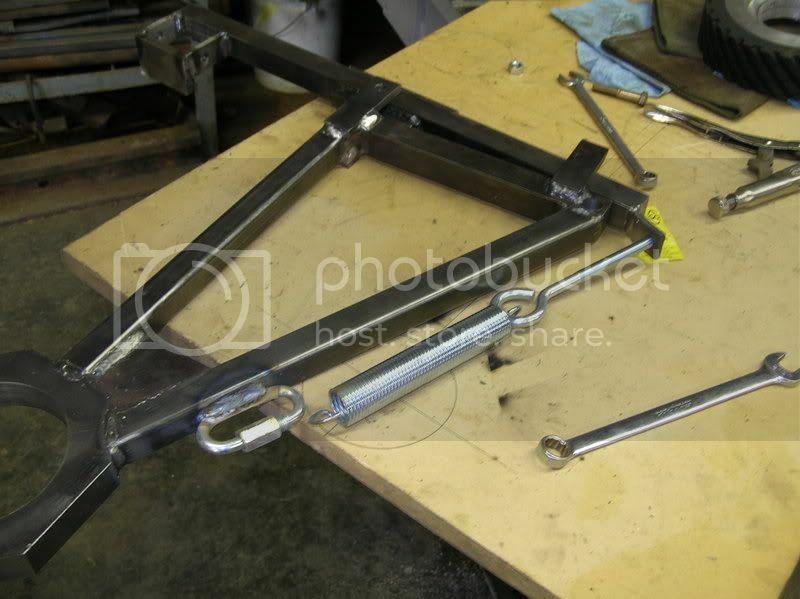 It consists of a main frame that carries one of the idlers and a spring loaded pivot arm that carries the other idler which is adjustable for tracking. 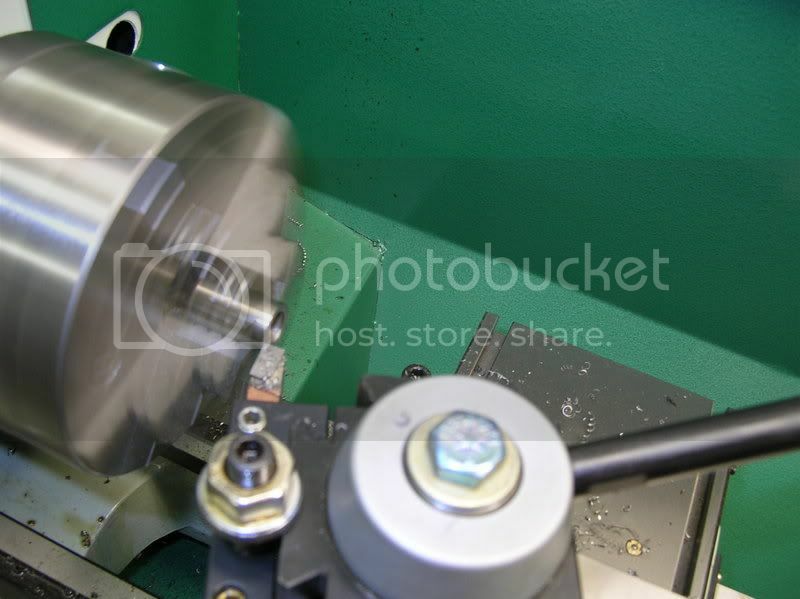 This is much like a KMG or Bader BIII grinder set up. 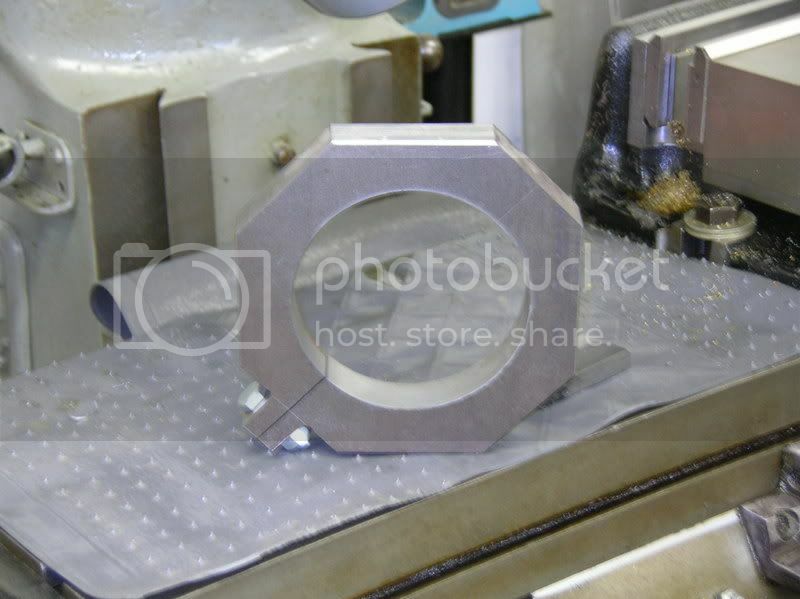 First of all you need to make a clamp ring that fits the spindle of the machine. This one is milled from one inch thick stock but I have also done this from round stock on a lathe. I make them one inch because I use one inch square stock for the frame. I had Bader make the contact wheel and idlers for me. This one is an 8x2 90 duro contact wheel. The idlers are crowned 2 1/2 x 3 with a .625 shaft that's threaded to except a 3/8 inch bolt. 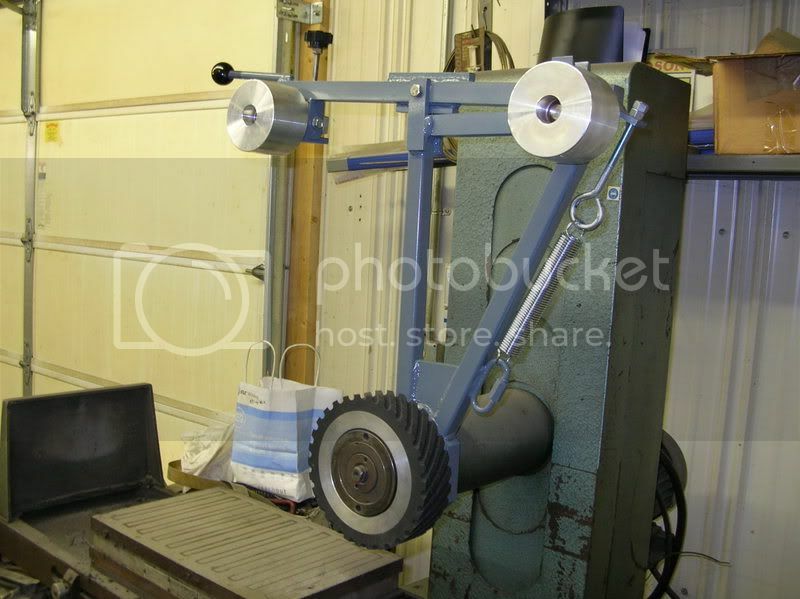 An easy way to lay it out is to use a piece of plywood that you can clamp the wheels in place. 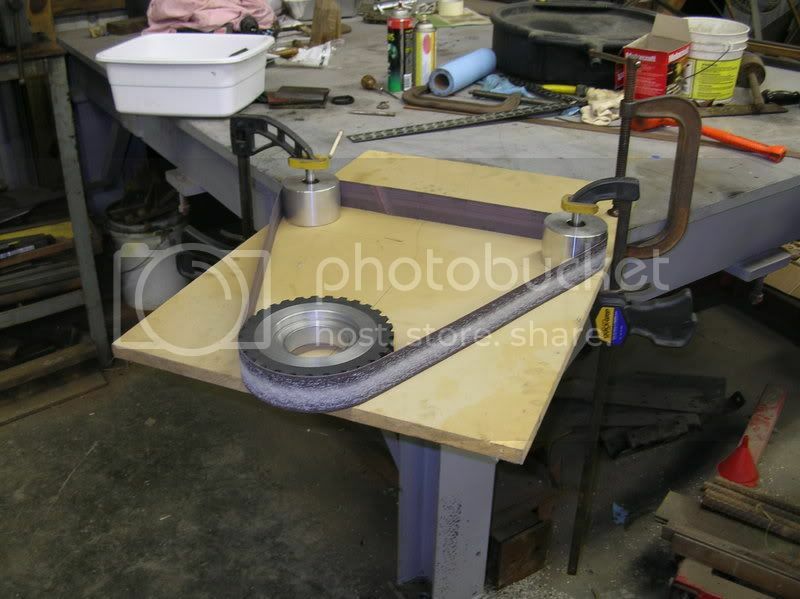 Take a belt and clamp the wheels where you want them and trace around them and then establish the center of them. From there you can draw on the board and build the frame to hold them in that position. 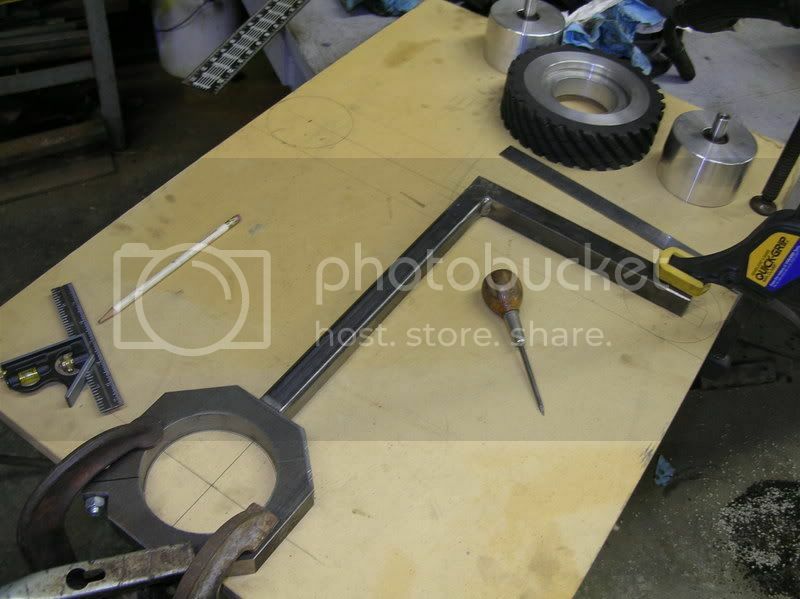 The clamping ring is in the dead center of the contact wheel and the top piece of the main frame is center of the right idler and will be drilled and counter bored to except the idler. 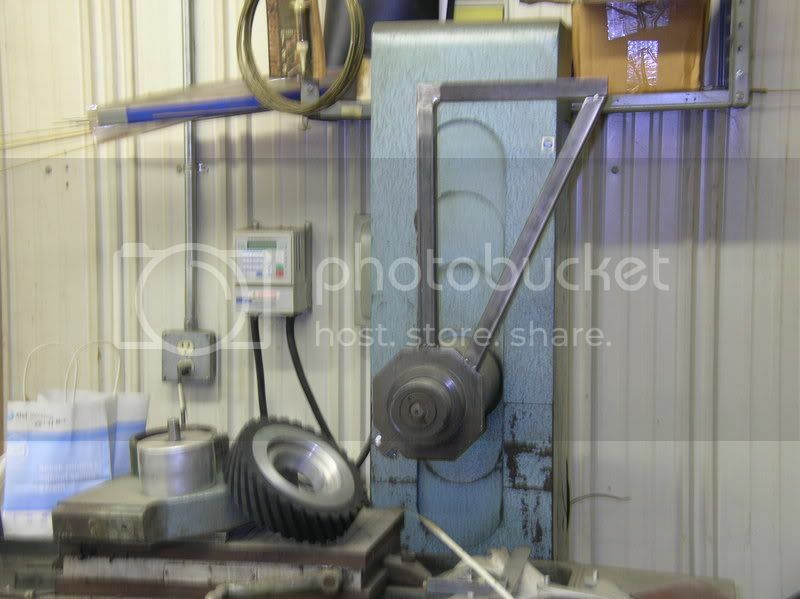 Its not necessary but it could be helpful to put the frame on the grinder after its built just to double check alignment. In the case of this one I built it so the 2 inch wide contact wheel would be 1/2 inch from the frame so I know the counter bore will need to be drilled to set the 2 1/2 inch idlers 1/4 inch from the frame. This way all the wheels run true. Next I make the pivot arm. Drill .625 pivot hole in the pivot arm to allow for bushing. Make bushing for pivot. You want to be able to tighten pivot bushing so it wont bind but the arm will be ridged. 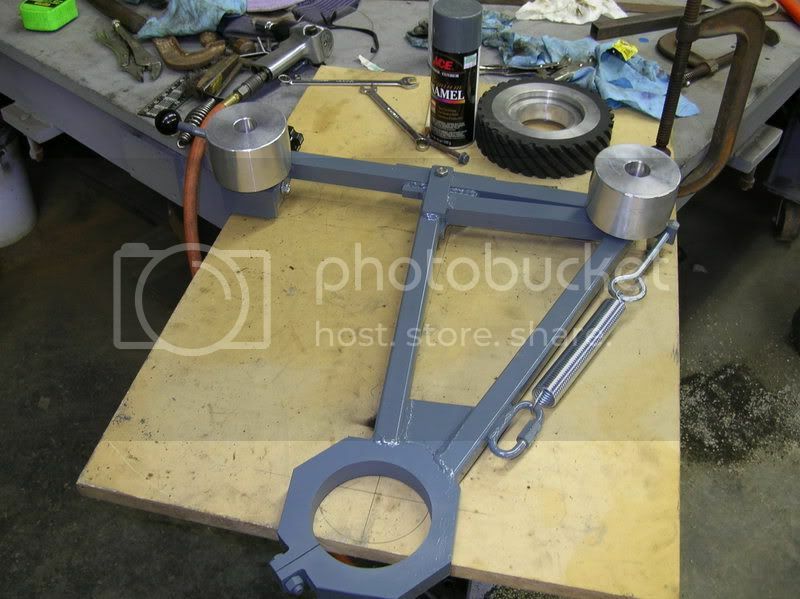 Notice in the upper pic I also have guides on the main frame for the end of the pivot arm to ride in. 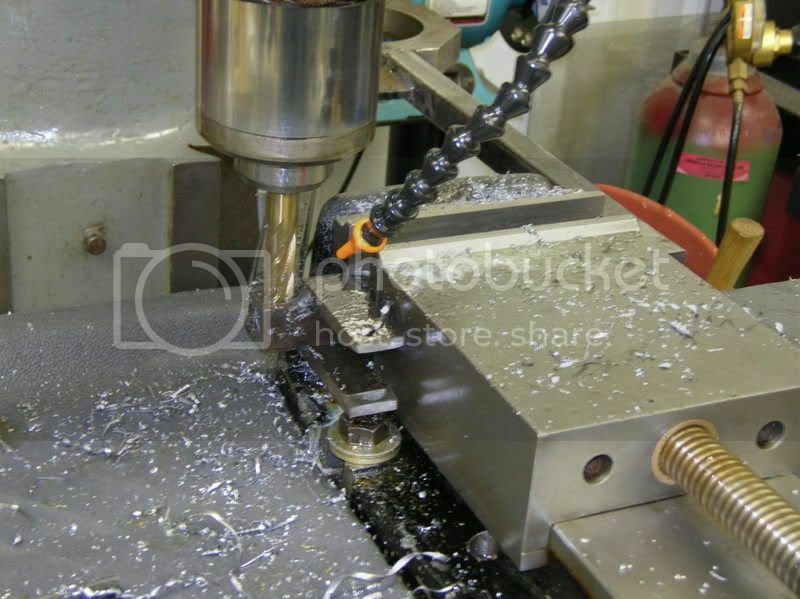 Drill and counter bore frame for idler. Making block to carry tracking idler. This will hand under the pivot arm and be adjustable with a bolt pushing down on the back. Finished with idler attached. 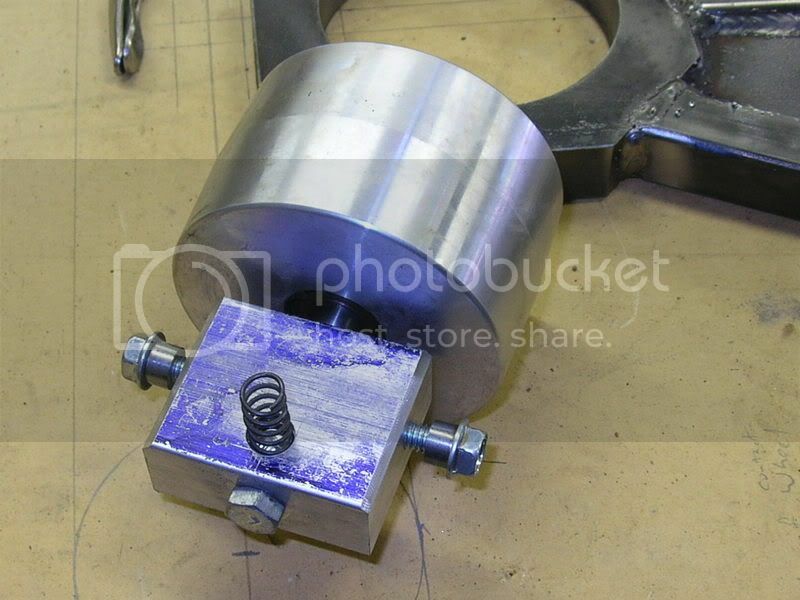 Your looking at the bottom side, the spring pushes against a plate to keep tension against the adjustment screw. The threaded bushings on the shoulder bolts allow it to pivot. 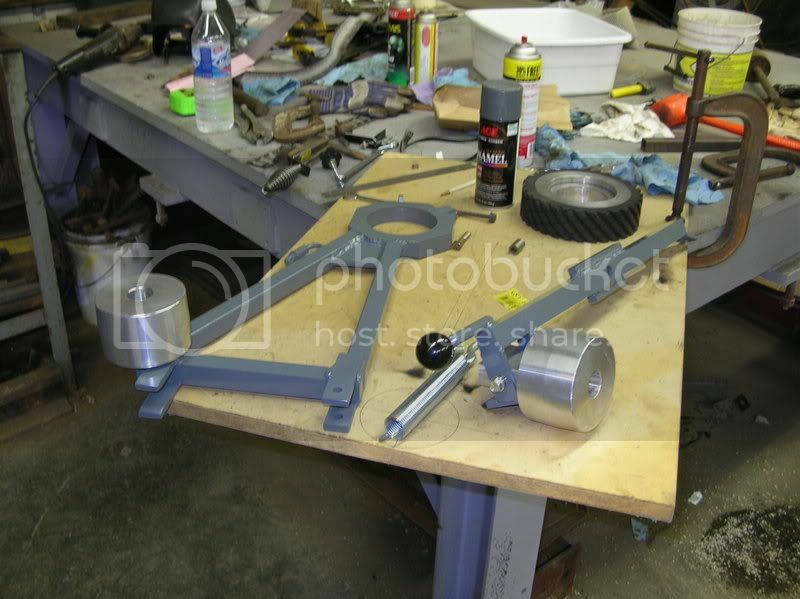 Build bracket to carry idler and to mount belt tension spring. Paint parts and final assemble. NICE! I think I could pull that off! Just need a surface grinder first . Cliff, That looks great and you made it easy to understand. I would love to build one but I'm like Nathan I need the surface grinder to build on. Great discription and pictures. This will be a big help. Thank you! 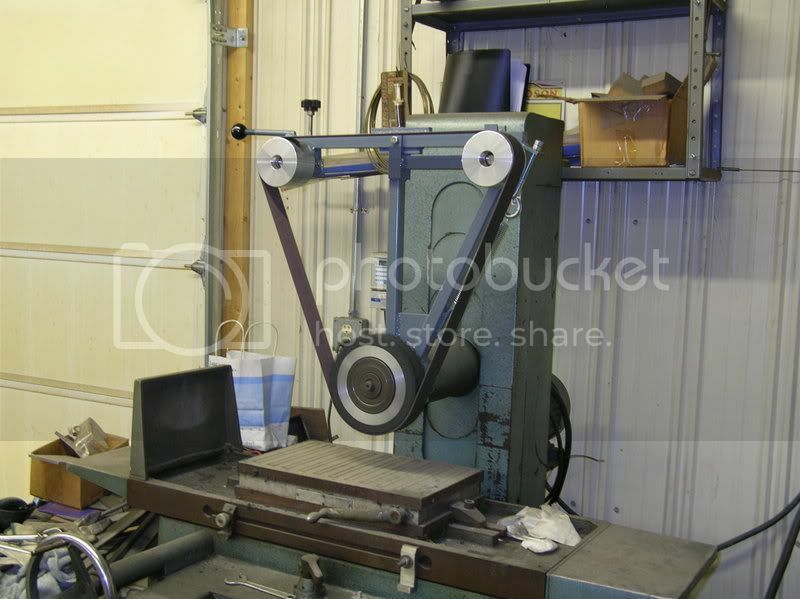 How about you make one of those for my surface grinder?? Please!! Thank you very much for taking the time to document your procedure. You provided the information I need to change over my Boyer Schultz. I greatly appreciate it. Well now it is time to find a surface grinder. Cliff great tutorial and thanks for sharing. I do have a question about the choice of a serrated wheel, why a serrated rather than a solid wheel? I am getting ready to do this to my machine and I was going to use a solid, so maybe you can point me in the right direction. Also I was thinking of a single idler like my BurKing but I really like the way yours work. Mike, I just saw this so sorry for the slow response. The serated wheels run cooler, the belts seems to last longer. I know they do when using them on a regular belt grinder. I know Gils older Boyer Shultz the contact wheel is down to the point there are hardly any serrations left on it. 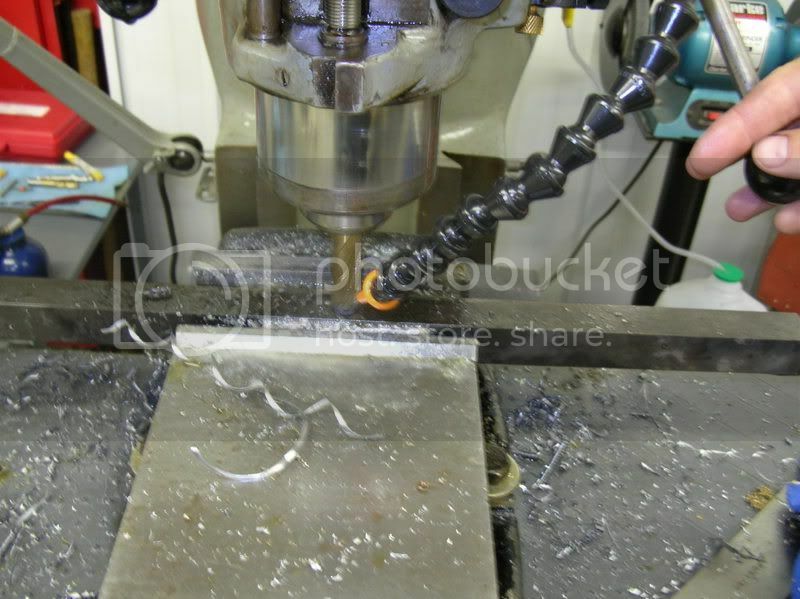 You cant handle a blade that has been ground on that machine without doing the hot potato dance. I can handle the blades off the others with new serrated wheels with my bare hand. You can redress your contact wheel on a surface grinder by gluing sandpaper on the chuck and running the wheel across it lightly. 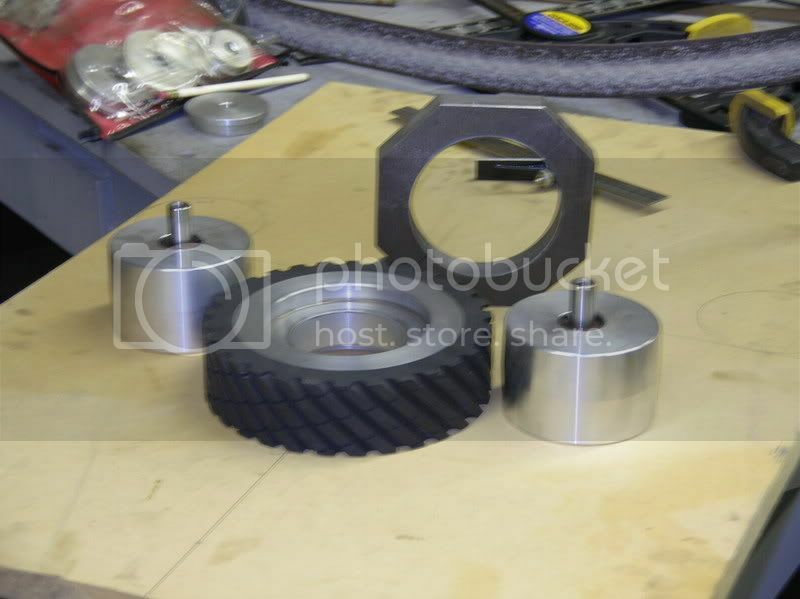 Many thanks for sharing your design on the surface grinder belt conversion. I have a Harig that I want to make an attachment for. This will surely help me along the way. Thanks for sharing. 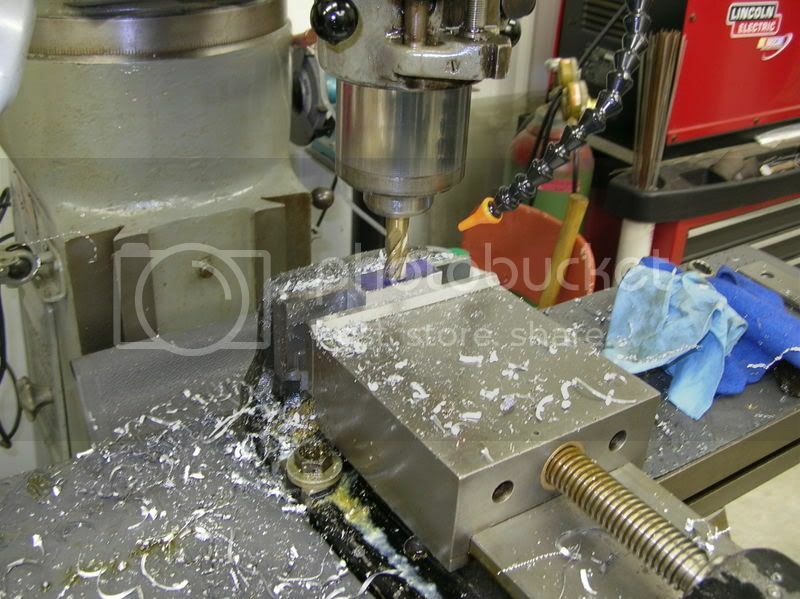 I have a very stout built CNC set up. I am not into the electronics and all the motors and power supplys, well it would cost me a fortune. After seeing you conversion, walla that what I can do rather cheaply. Thank you so very much for the inspiration.